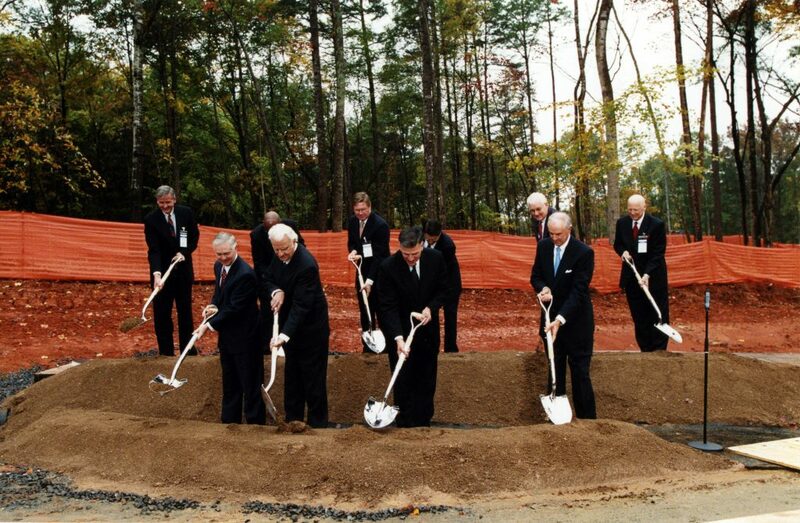 Nearly a year following the announcement that the Billy Graham Evangelistic Association headquarters would be moving to Charlotte, a private groundbreaking ceremony was held on October 29, 2002. Five hundred guests and civic leaders were invited to attend the ceremony, including then Charlotte mayor Pat McCrory and N.C. governor Michael Easley. 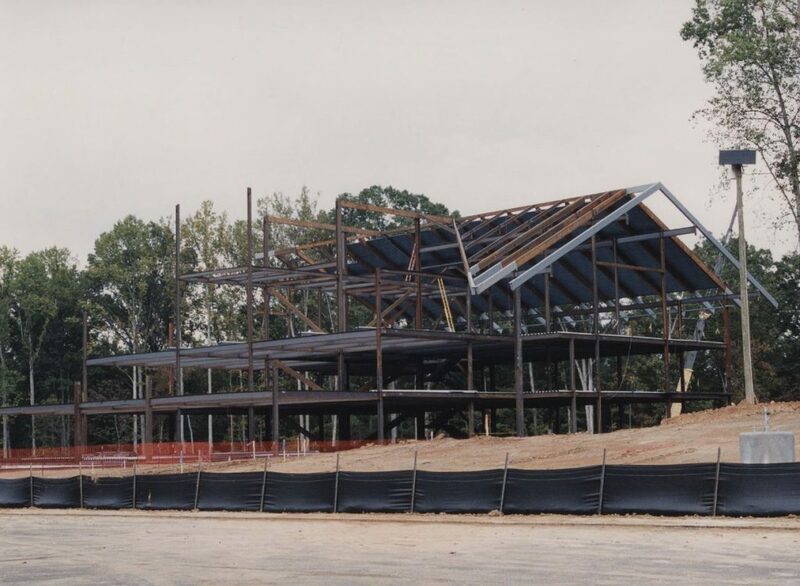 Above is the building framework of the Billy Graham Evangelistic Association headquarters. Billy Graham, his son, Franklin Graham, and other community leaders use the dedicated shovels at the ceremony. This month, we are featuring a shovel that was used during the ceremony to commemorate the beginning of construction on the 63 acres fittingly located on the Billy Graham Parkway. Learn more about this month’s archive item in the video below. See more artifacts from the Billy Graham Library.